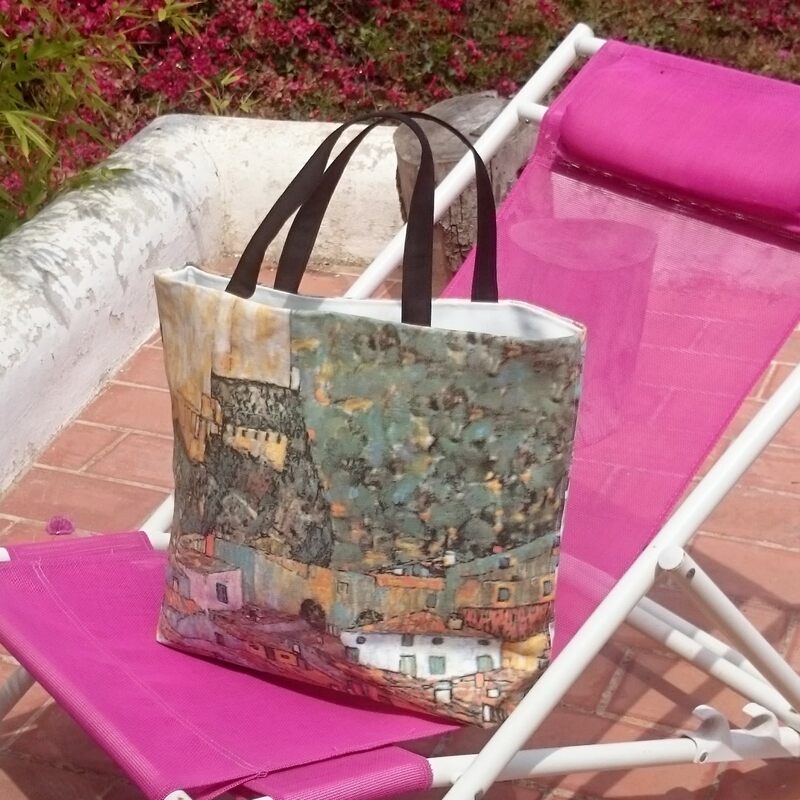 Gustav klimt printed thick canvas tote bag. 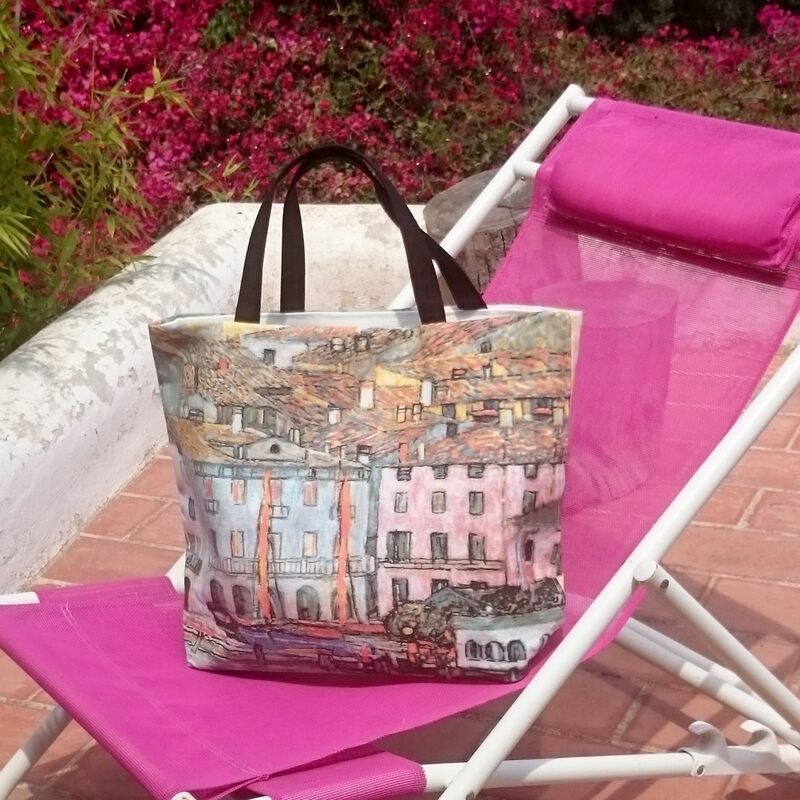 beach totes, Package shipping 48h. Thick canvas tote bag. The same printed canvas is on each side with different pictures. 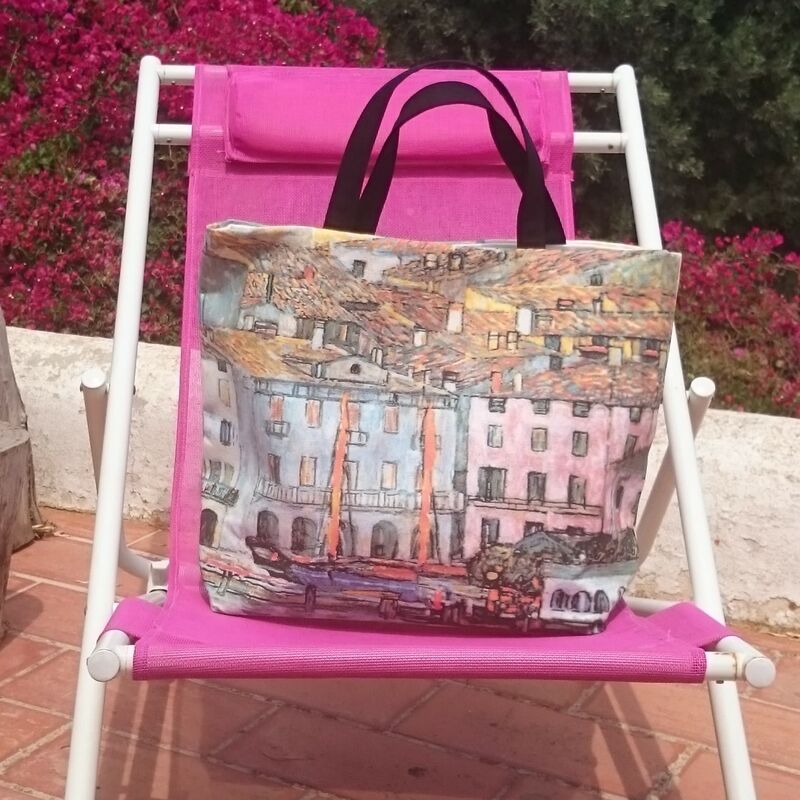 These are copy of the famous painting "Malcesine on lake Garda" made in 1913 by Gustav Klimt. Blue and pink ochre houses face water is on one side, roofs and landscape on the other. It is a medium tote bag, its size: 14 x 19-13 x 5 inch about. 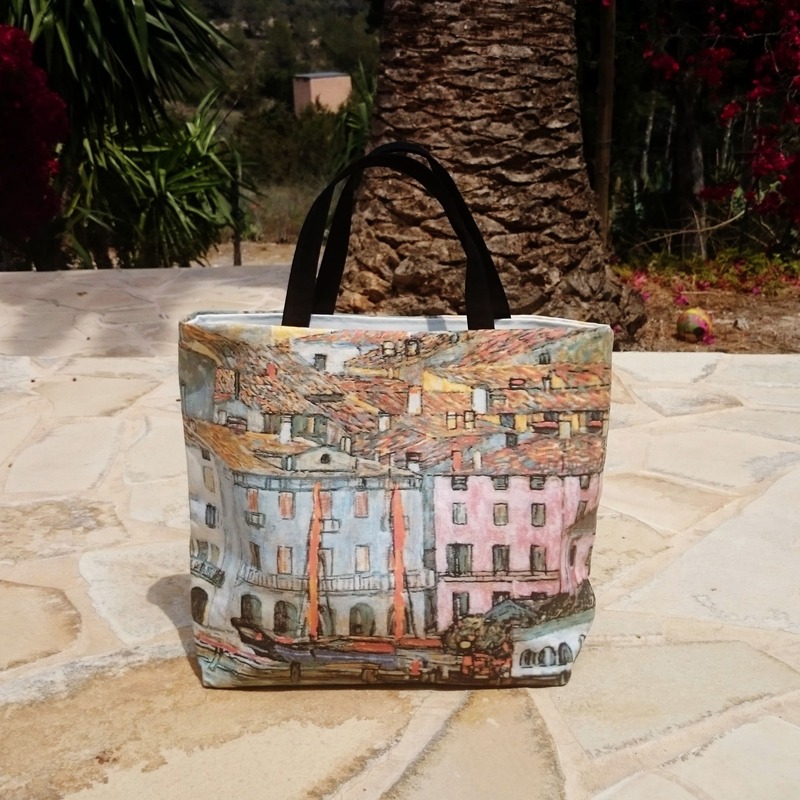 This bag (as every ones of the shop) is made from the most beautifull fabrics of the market, the same as the famous french fashion design house. Most of them are made in Italy. Cotton canvas bag with printed picture. The bag is underfaced, and lined with turquoise blue gabardine. The handfuls are in black cotton (and underfaced). Cleaning advice: It is perfectly washable, the picture does not fade away but dislike spin drying. Using cold water is recommended.